An early start to our holiday. We’re heading for Cyprus for a week. I usually have an alcaholic drink during the flight (I can get a bit anxious during the flight and it helps me relax a bit) But half past nine in the morning seemed a little bit early to have a drink! I draw a line at early morning drinking. 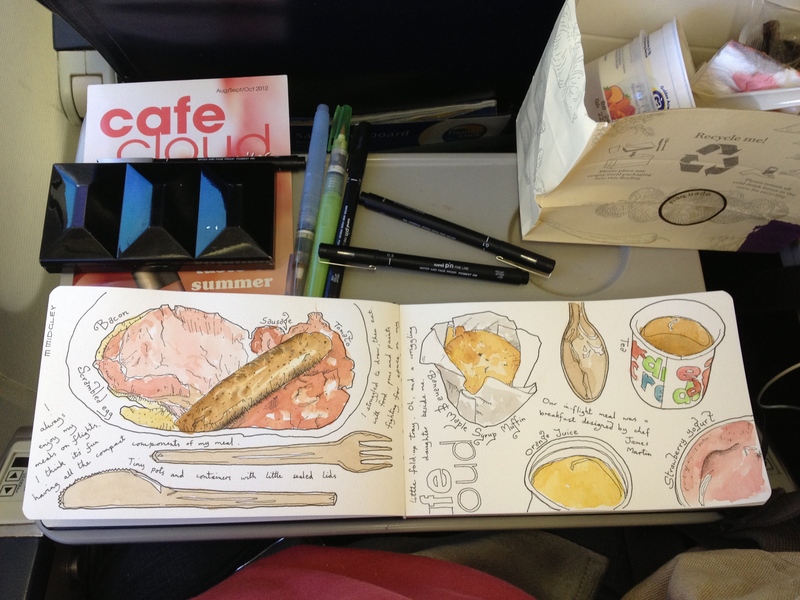 The best part was trying to juggle my airline breakfast and it’s packaging, my paints and my sketchbook onto the teeny tiny flip down tray. Oh, and having a wriggling 9-year old next to me didn’t help much either!